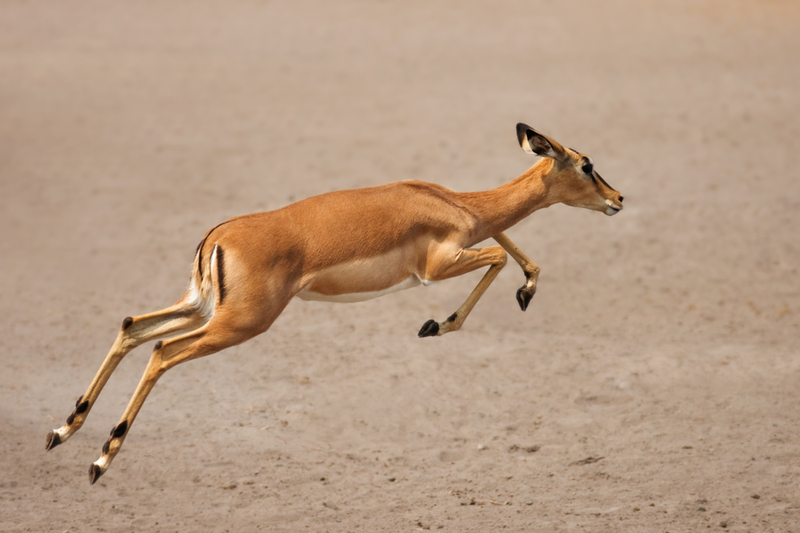 The African impala can jump to a height of over 10 feet and cover a distance of greater than 30 feet. Yet these magnificent creatures can be kept in an enclosure in any zoo with a 3 foot wall. The animals will not jump if they cannot see where their feet will land. A lot of humans are like this. They are afraid to take a risk. Not I. I understood at an early age that in order to triple your success ratio, you might have to triple your failure rate. Failure-to-SuccessFailure can be one more step on your road to success – you just have to turn it around in a positive direction. Failure can push you harder to succeed. Failure can strengthen your determination to overcome obstacles. Failure can make you braver in the face of opposition. Failure can help you learn what you need to do in order to succeed. Failure can teach you what your limitations are – and your strengths. Failure can encourage you to change your strategy. “Failure is not an option” became a popular catchphrase after the release of the movie Apollo 13. Failure happens, but when you’re responsible for the people working for you, you have to do everything you can to guard against it. As a leader, devote yourself to avoiding these crucial failures in leadership. Disconnecting from people. Don’t get so caught up in strategy and planning that you forget to talk to the people who work for you. Most of the time, they know more than you about how things work from the ground level, and their insights can be invaluable. Doing too much. Delegate appropriately so you don’t get overwhelmed and lose sight of the big picture. When you hire, look for people who can perform aspects of your job as well as or better than you can. Your role is complicated enough without adding tasks that your team should be able to handle. Avoiding risk. Play it safe, and your organization will never grow. That doesn’t mean being foolhardy with your organization’s assets. Seek opportunities everywhere, and be willing to commit resources wherever you’ve got a reasonable chance of success. Exhaustion. Take care of yourself, physically and mentally. Eat well, exercise, and take time off so you can stay fresh as you confront the day’s challenges. Pushing yourself to the brink will only increase everyone’s anxiety. Falling in love with authority. You’re the boss, not a monarch ruling by birthright. Don’t rely on your title, and the volume of your voice, to get employees to do what you want. Base your decisions on your experience and judgment, and be willing to listen to other points of view instead of assuming that only you know what’s right. In short, Rowling says she was the biggest failure she knew. And while she says there is nothing ennobling about being poor, she believes she reaped benefits from her failures. Failure, she says, stripped away all the inessential aspects of her life. She stopped pretending to be anything other than herself, and it was then that she began to earnestly pursue the only work that mattered to her. It was not, she says, the fairy-tale transformation to success so often written about her in the media. It never is, by the way. “Overnight sensations” are rare indeed – most of us have to plug away, pay our dues and have a few failures before we can begin to imagine real success. Mackay’s Moral: Failure isn’t final unless you say it is. Reprinted with the kind permission of internationally syndicated columnist Harvey Mackay, author of the NY Times bestseller "Swim with the Sharks, without losing your Shirt"